I love your blog header with the map background. 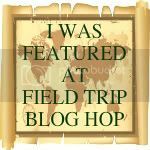 Thanks for sharing this blog hop with us at NOBH! I will try and remember to pop over and link up our field trips! 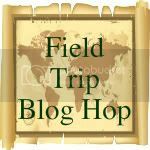 I just came across your blog, I'm now a follower and will now be adding our field trips to your great linky party, thanks for hosting!! Have a wonderful weekend! !